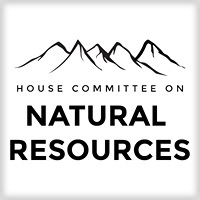 WASHINGTON, D.C. – (RealEstateRama) — The House Committee on Natural Resources passed six bills including H.R. 4419 (Rep. Dan Newhouse, R-Wash.), H.R. 3916 (Rep. Ken Calvert, R-Calif.), H.R. 3186 (Rep. Niki Tsongas, D-Mass. ), H.R. 3045 (Rep. Luke Messer, R-Ind. ), H.R. 857 (Rep. Paul Cook, R-Calif.), and H.R. 224 (Rep. Don Young, R-Ala.). “Today’s markup of several bipartisan bills shows how both sides are willing to work together to enhance our country’s vital natural resources and strengthen western water infrastructure. I look forward to working with House Leadership to bring these bipartisan bills to the floor for a vote,” Chairman Rob Bishop (R-Utah) said. H.R. 4419, the Bureau of Reclamation and Bureau of Indian Affairs Water Project Streamlining Act, requires the Bureau of Reclamation (BOR) to accelerate studies for water infrastructure projects and provide more accountability in the agency’s process. The bill provides the same, successful streamlined water project development process for BOR and Bureau of Indian Affairs that the Water Resources Reform and Development Act of 2014 (WRDA) provided for the Army Corps of Engineers. H.R. 3916, the bipartisan Federally Integrated Species Health Act or FISH Act, reduces regulatory duplication in enforcement of the Endangered Species Act (ESA) pertaining to certain fish species. It vests all ESA authority for managing these species solely within the Department of the Interior. H.R. 3186, the bipartisan Every Kid Outdoors Act, establishes the “Every Kids Outdoors” program to provide fourth graders free access to federal lands and waters to which the public has access. The bill has 52 cosponsors including original cosponsor Rep. Scott Tipton (R-Colo.). H.R. 3045, the bipartisan Eastern Legacy Extension Act, amends the National Trails System Act to extend the Lewis and Clark National Historic Trail. H.R. 857, the bipartisan California Off-Road Recreation and Conservation Act, promotes conservation and enhanced recreation activities in the California Desert Conservation Area by designating six National Off-Highway Vehicle Recreation Areas, more than 330,000 acres of new wilderness study and 77 miles of new Wild and Scenic Rivers. H.R. 224, the Polar Bear Conservation and Fairness Act, amends the marine Mammal Protection Act to allow importation of polar bear trophies taken in sport hunts in Canada before the date he polar bear was determined to be a threatened species under the ESA.